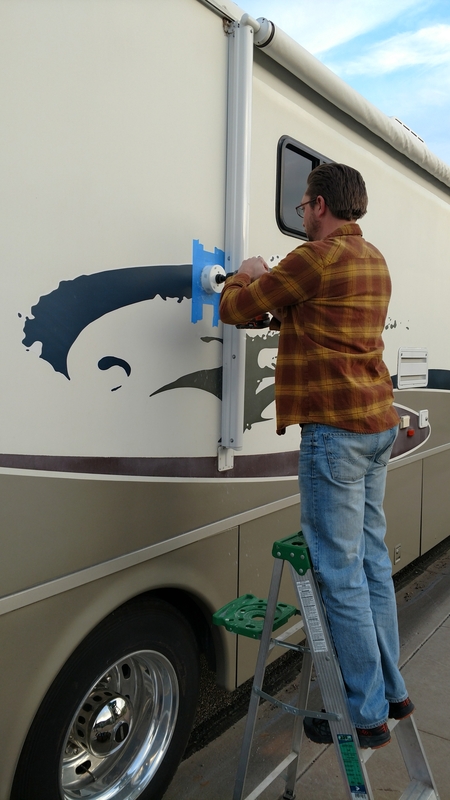 Drilling holes in our RV for the Washer/dryer install! 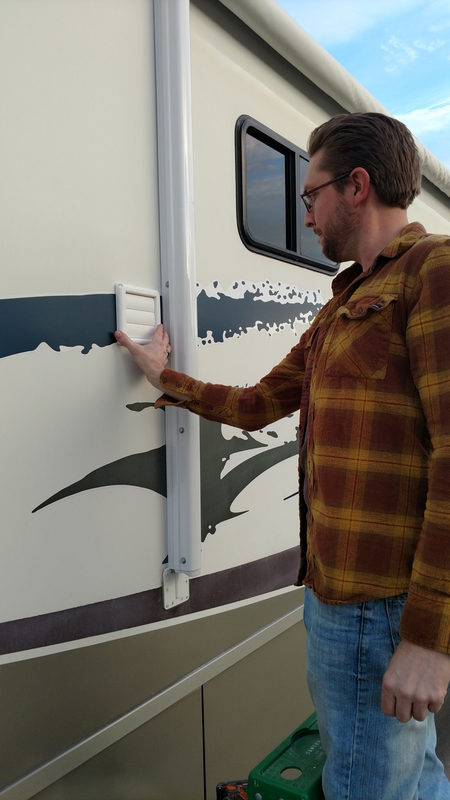 Over the past two weekends now Scott has been researching and calling winnebagos customer service, which is excellent by the way, about the best approach to install our washer dryer combo unit into the RV. I feel with a two-year-old it will be extremely helpful to have access to clean clothes sheets, undies, socks etc. 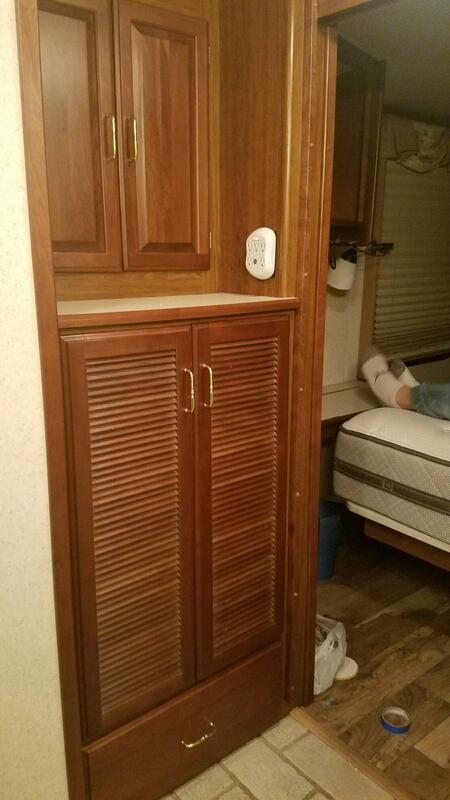 The previous owners of our RV never installed a washer dryer however it is pre wired for one! GOOD THING!! So that basically means this RV has been pre-wired for 15 years waiting for this unit to be installed. 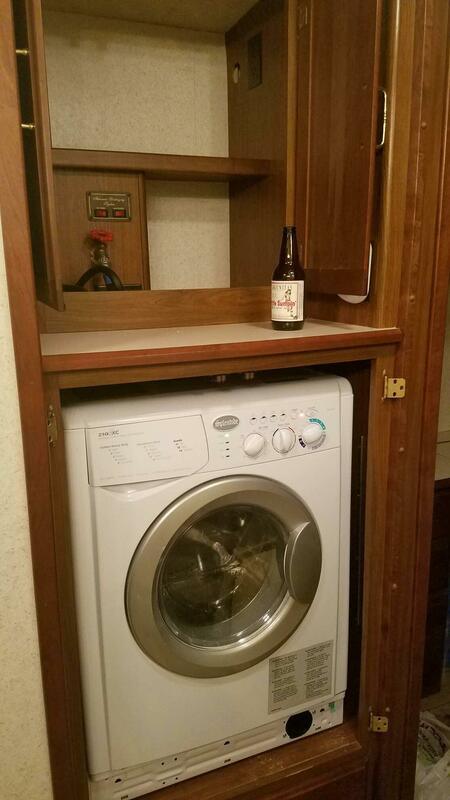 After much searching on Craigslist we found a high end washer dryer combo unit with slightly larger capacity than most. We made the arduous trip out to east east east Phoenix to pick it up and bring it back and it only set us back $550 LOL. Anyhow back to the install process, apparently our RV was originally designed for a ventilated washer dryer that blows out the front (early 2000 style) not one of the more recent ones that requires an air vent… so there is no hole going outside of the RV to vent the washer dryer …which is kind of important. All this to say that Scott got to get a hole saw and cut a hole in the side of the RV. Luckily the size of the tubing for the washer dryer was the same size as the circular saw so everything fit together pretty well with the help of some duct tape. 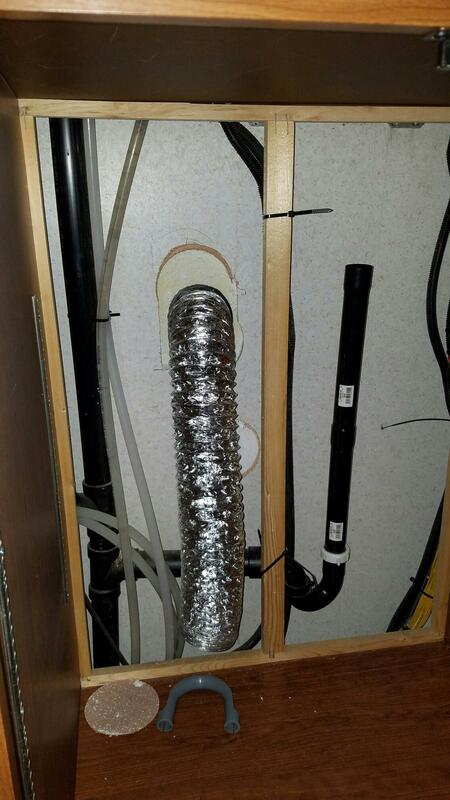 Then once he cut a giant hole in the wall he installed the air vent and the tubing to connect to the washer dryer. Miraculously and with the help of a shot of Jameson, Scott and I got the 150 plus pound washer dryer onto a dolly and wheeled it all the way out to the RV. The challenging part was for us to get the washer dryer up the for Steep and narrow steps into the RV. Once we get it in there I’m sure it would have been simple. We took it one step at a time, I almost lost a finger but we got it up. Here’s the ducting and small space from the inside. We lifted the Beast up and set her own. Everything connected very easily and smoothly thank God. We checked it for leaks as well and no leaks to be detected. We had to celebrate with a beer what an awesome accomplishment and one step closer to our journey in the RV!! It seems like such a simple thing but the whole entire process probably took as close to 10 hours all together in between finding the right tools for install, finding the right washer and dryer, and figuring out where to drill holes into the side. I am so happy to have this done and out of the way and looking forward to the next step to get us out the door! Btw, Scott was soooooo done after all this work…So he crashed on the bed for some much needed R&R.